Product prices and availability are accurate as of 2019-04-14 17:25:19 EDT and are subject to change. Any price and availability information displayed on http://www.amazon.com/ at the time of purchase will apply to the purchase of this product. 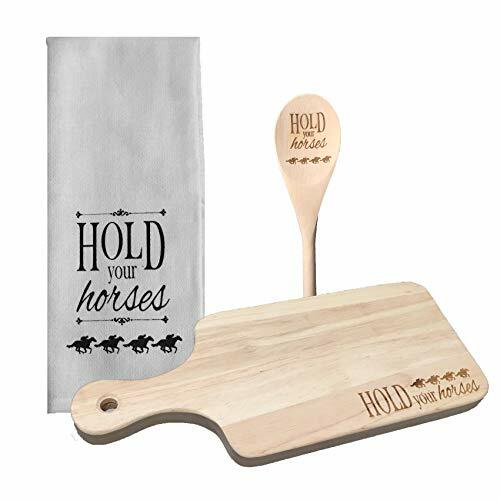 Our unique set of Hold Your Horses kitchenware adds an original Kentucky touch to any kitchen! 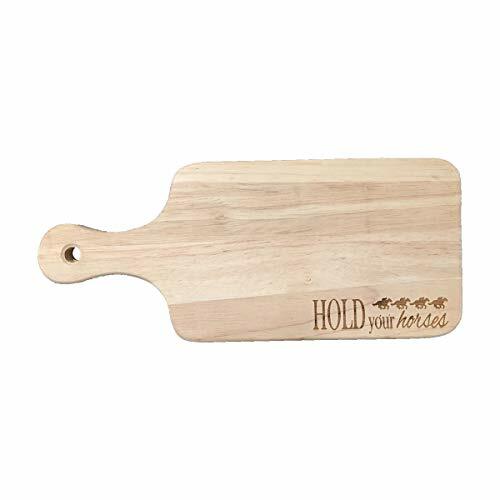 Add some Kentucky spice to your kitchen, or give a unique and memorable gift. 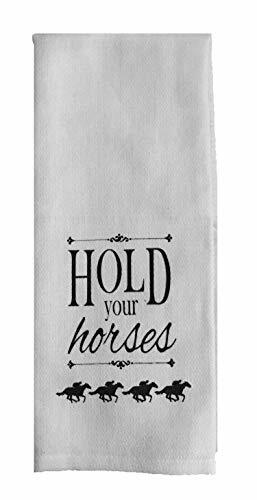 Tea Towel measures approximately 15" x 26". Made of 100% soft cotton. 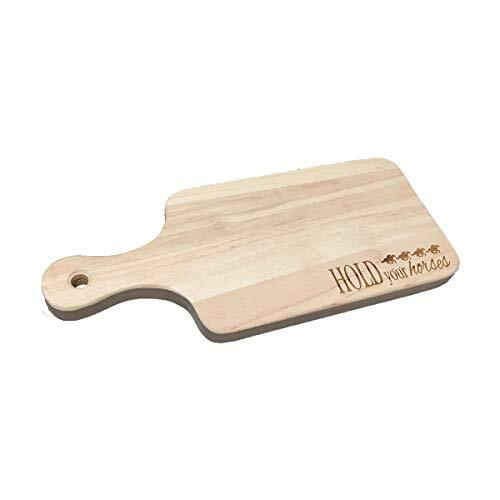 Cheese Board measures 13" x 5.5." Reverse side is blank. 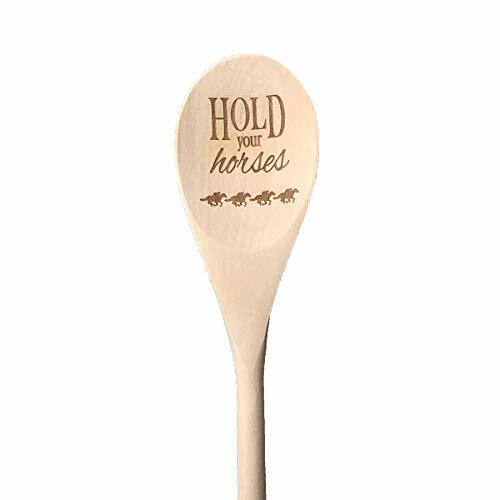 Wooden Spoon Approximate Size: 14" x 2." Reverse side is blank. Made in Louisville, KY- Home of the Derby!